Russian military exercises in the eastern Mediterranean Sea were likely to disrupt Israeli flights just as three important Jewish holidays were approaching. The Israeli Airport Authority said Tuesday that air traffic over Cyprus would need to be redirected elsewhere, a change likely to cause major delays just as scores of Jewish pilgrims were planning to celebrate Rosh Hashana next week at the gravesite of influential Jewish scholar Nachman of Breslov, who died in 1810 and is buried in the Ukrainian city of Uman, according to the Times of Israel. 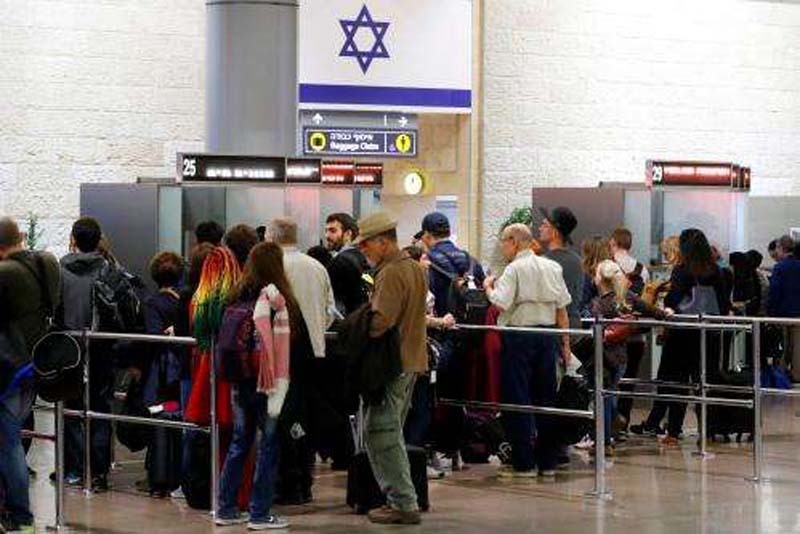 On Wednesday, some 90,000 passengers were set to take an estimated 588 flights at Ben Gurion International Airport and on Thursday the number climbs to 107,000 people on 650 flights. In addition to the Jewish new year of Rosh Hashana, this month also contains the faith's holiest day of Yom Kippur, which will begin on September 18, and the Feast of Tabernacles on September 23. Collectively, the time period—ending with Simchat Torah at the beginning of October—is known as the High Holy Day season and it saw an estimated 1.4 million passengers in 2014, Israeli newspaper Haaretz reported. Russia's war games, which launched Saturday and were set to end next Saturday, were announced after it sent its largest batch of ships to the region amid tensions with the U.S., which is involved in a rival mission in Syria. Russia—along with top Israeli foe Iran—support Syrian President Bashar al-Assad in his war against rebel and jihadis who rose up after a 2011 insurrection backed by the West, Turkey and Sunni Muslim monarchies. As the U.S. switched to focusing on battling the Islamic State militant group (ISIS), the Syrian military regained territory with Russian and Iranian support, but Washington and its allies accused Assad of ordering chemical weapons attacks. The U.S. has twice struck Syrian government sites in retaliating for alleged uses of toxic gas, and officials in the White House and at the Pentagon have increasingly warned that another action would be launched if Assad conducted employed such internationally restricted tactics again. Russia, Iran and Syria have denied Assad's culpability in such actions and blamed them on the West and its local allies. Moscow has claimed that the U.S. and the U.K. were trying to frame Assad as a pretext for another set of upcoming strikes just as the Syrian military was preparing to retake the final bastion of an Islamist-led insurgency in the northwestern province of Idlib. Up to 25 Russian warships and 30 aircraft have since begun training in the tense waters of the Mediterranean. After a direct warning from Trump, Syrian activists reported Russian airstrikes Tuesday against Idlib and the White House again warned it would act "swiftly and appropriately" should chemical weapons be used. ast ally. Balancing his strategic alliance with Iran, Russian President Vladimir Putin has held multiple talks with Israeli Prime Minister Benjamin Netanyahu and said that all foreign forces should eventually leave Syria, including those of Russia and Iran. Iranian officials, however, have resisted this notion and argued they would stay as long as they were welcomed by the Syrian government. Israel has also stepped up its involvement in Syria in recent years, launching strikes against suspected Iranian and pro-Iran positions across the country, which it accuses Iran of using as a forward base. On Tuesday, Syrian air defenses engaged what the military called "an Israeli aggression" near a site previously identified as a potential Iranian military position.